10th October 1916. John Raikes. G Social, 1910. 2nd Lt, 9th Bn, Essex Regt. Killed in action. John Raikes was one of the most promising mathematicians to have been educated at Radley for many years. He came to the School as the Heathcote Mathematical Scholar and left it having won a Mathematical Exhibition to Corpus Christi College, Oxford. He joined up before he could take his place at Oxford. 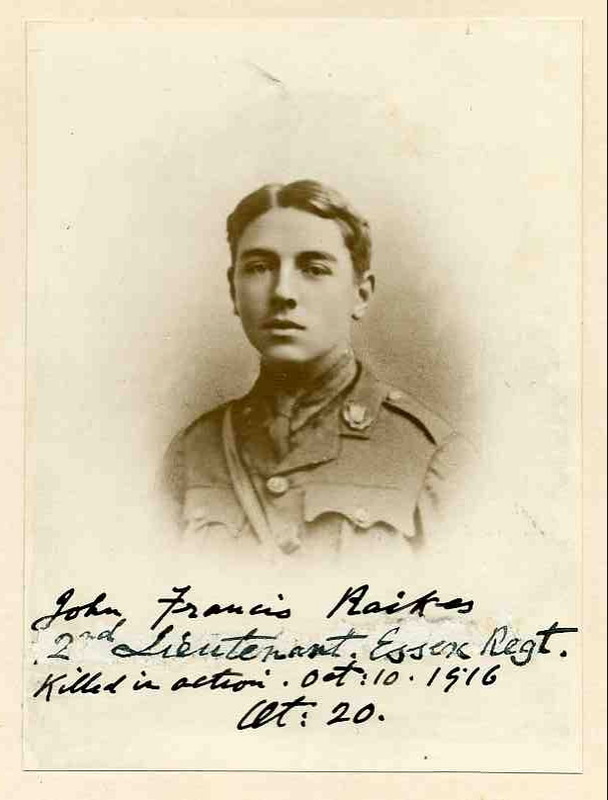 His uncle, Frederick Raikes, died in Mesopotamia in 1917. Posted in Commemorating the Fallen of WW1 and tagged 1st Battle of the Somme, 2nd Lieutenant, Flanders & France (Western Front), G Social, killed in action, scholar on 10 October, 2016 by archives602.